Working chairside with Dr. B., Laura witnessed the suffering children experience due to cavities from poor oral hygiene and unhealthy diets. She envisioned a new and exciting way to educate children about the importance of dental health and hygiene. Her fun filled, innovative children’s dental education program “Don’t Forget to Brush Your Teeth” has been highly praised by dental professionals, educators, children, and parents. Through the program, she transformed oral health education from being a serious and fearful topic to a fun, exciting and memorable experience for children. The live program was just the beginning for Laura. Laura has envisioned a world of fun and imaginative dental characters to help children learn about the importance of oral health. A fantastic world filled with Dental Superheroes and Villains; the world of Dent Strong. Her vivid imagination is creating the stories and scripts that will become exciting free movies for children to enjoy in schools and dental offices. Dental professionals, educators and parents will be able to use these incredible tools to assist in the teaching of oral health. 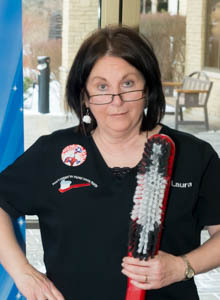 Laura’s personal goal is to enrich the dental health knowledge of as many children as possible, and give children the gift of good oral health. Welcome to her world… The Adventures of Dent Strong! Lyle brings an impressive amount of technical expertise to the team. Lyle has experience in IT, web design, and engineering consulting. 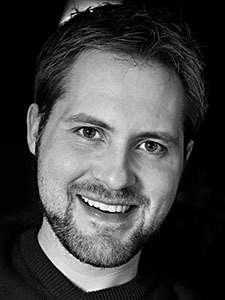 Lyle holds a Mechatronics Engineering degree from the University of Waterloo and an MBA from Wilfrid Laurier University. He continues his education working with the Wilfrid Laurier University’s Laurier LaunchPad program. Lyle is an extremely detailed person and when you combine that with his wonderful imagination and technical knowledge, it makes anything possible. He is a skilled photographer, and enjoys 3D printing as well as anything else his engineering mind finds interesting. His love of video games and interactive experiences gives us great insight in the development of our children’s dental education games for schools and offices. If you listen, you will hear his animated voices often portraying the fun and crazy characters we have created together. He is a huge asset to our team. Lyle makes anything you feel impossible… possible! Born and raised in Niagara, Ron graduated from Sheridan College and then went on to the Ontario College of Art (OCAD). Ron made his home in Toronto and started freelancing in 1979. 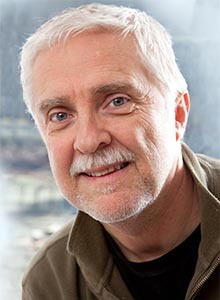 He has created illustrations and art for many publishers including Scholastic Canada, Scholastic USA, McGraw-Hill USA, Nelson Canada, Harper Collins USA, Harcourt USA, Houghton Mifflin, Scott Foresman USA, Chickadee Magazine, Toronto Star, Globe & Mail, and Harlequin. Ron has also created for major corporations Hasbro USA, Fisher Price USA, Nestle, Dare, John Deere USA, Barbara’s Bakery USA, Effem Foods, Dole, S.C. Johnson USA, Cost Plus World Market USA, Fidelity USA, Canada Life, Bick’s Pickles, Sobeys, Metro, Wal-Mart, Sony, King Oscar (Norway), Del Monte, and Purina Canada. 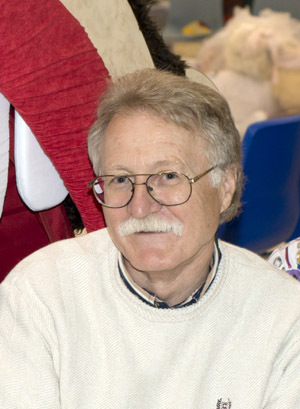 As a master illustrator, Ron has created illustrations and art for children’s books and games. Ron is excited to bring The Adventures of Dent Strong to life to help children learn about the importance of oral health. His attention to detail can be seen in everything he creates. There is lots more excitement to come… stay tuned! Dr. B is a graduate of the University of Toronto and is in his 37th year of practising dentistry in Ridgeway, Ontario. Upon graduating he returned to his home town, and set up his family practice. Dr. B is our resident dental expert and has seen firsthand the need for children’s dental education. He believes that by introducing children to “The Adventures of Dent Strong”, children everywhere can learn about oral health and hygiene in a fun, imaginative, and entertaining way.